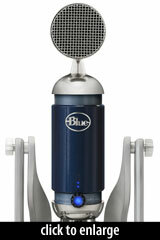 The Blue Spark Digital is a USB/iPad condenser mic based on the Spark FET condenser. The Spark Digital connects to PC or Mac via USB2, or to iPad via Apple 30-pin cable. 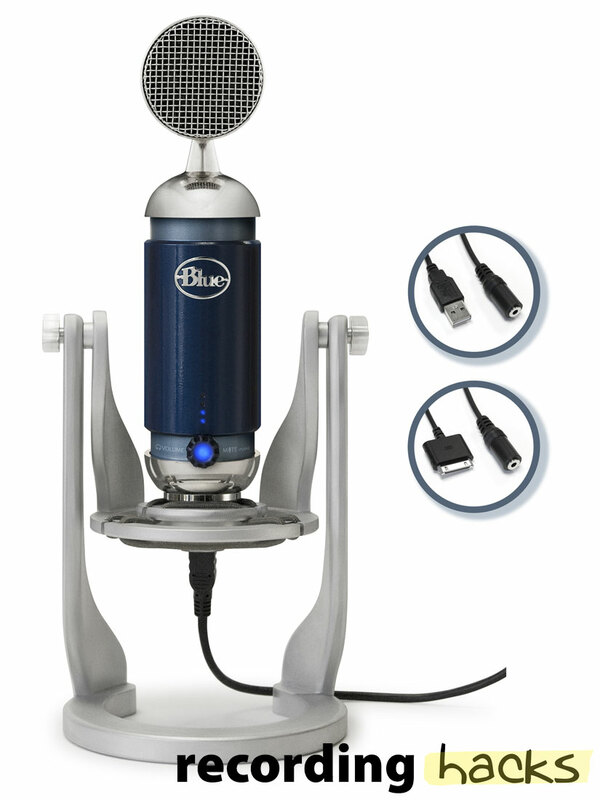 According to Blue, it is the first microphone to offer both USB and iPad connectivity. A subsequent version of the mic, the “Spark Digital Lightning,” includes an Apple Lightning cable, for direct connectivity to modern iPhones and iPads. An onboard headphone jack provides zero-latency monitoring of the recorded signal. Headphone volume, mic gain, and mute are all controllable from the microphone. The ADC (Analog-Digital converter) runs at 16 bits, with a maximum resolution of 44.1 kHz. The Blue Microphones Spark Digital is also known as: Spark Digital Lightn.